June and the wild blackberries are just turning ripe. It’s the fruit that green when it’s red. They’re best picked and used the same day, free from the weedy prickly brush. You’ll need about 1 cup ripe blackberries and an apple, peeled, cored, and sliced. 1 stick (1/4 lb) butter, cut into segments and hard from the refrigerator. 1 tablespoon unsweetened molasses (I use this rather than brown sugar). 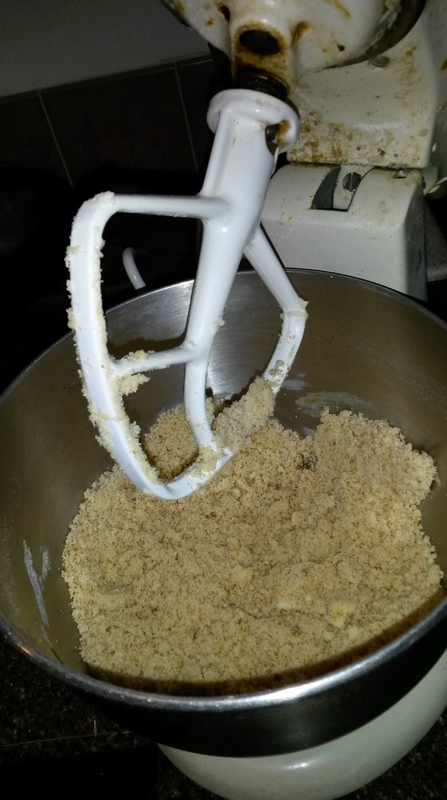 Use the mixer to thoroughly blend into a crumbly uniform state. 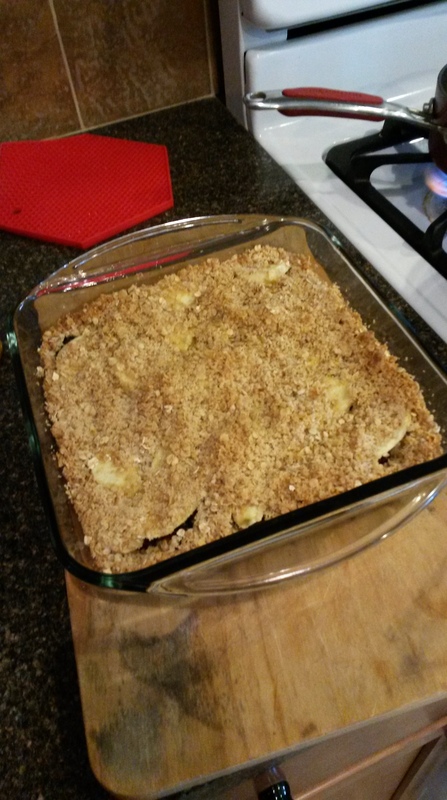 It is a little more crumbly than pie crust mixtures and a lot sweeter. Mix in 1 cup oatmeal. 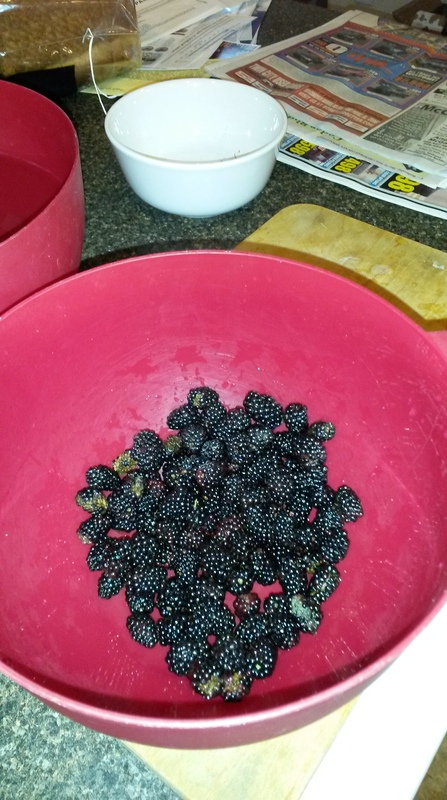 Wash about 1 cup of blackberries. I use a basin of cold water, twice, to remove bits of leaves and other things that tend to accompany wild fruit. 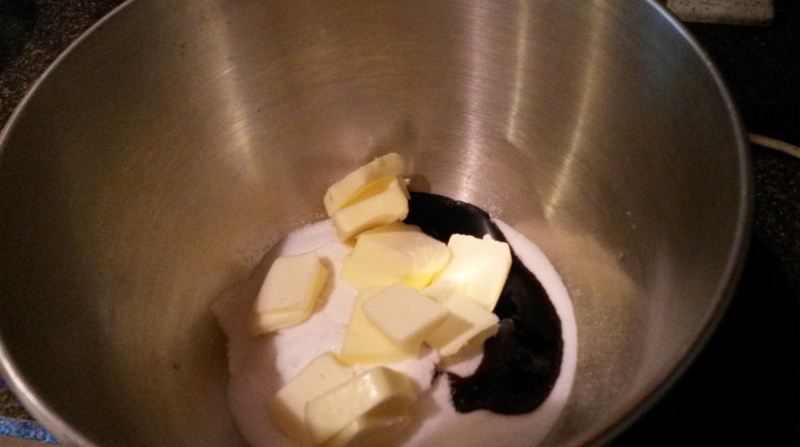 Place 2/3 of the mixture in a 9×9 baking dish, put the blackberries on top. Peel, core and section a cooking apple (Granny Smith in this case) and place over the blackberries. 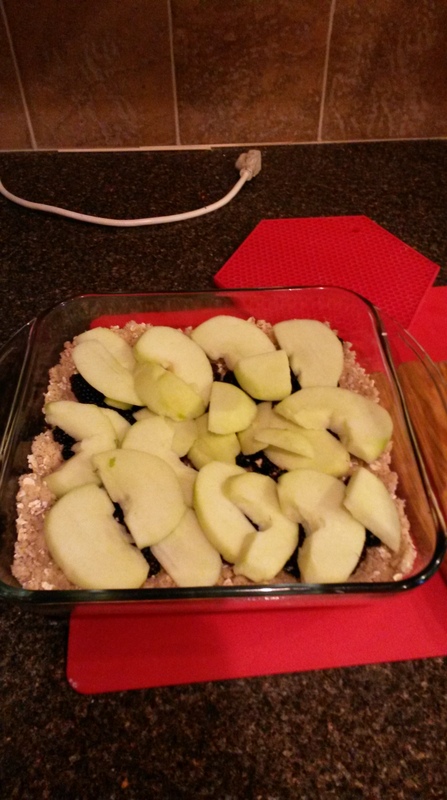 Cover with the rest of the mixture and bake at 350F (200C) until the fruit is done and the crust browned. About 1/2 hour.